Don't sweat the rising temperatures. 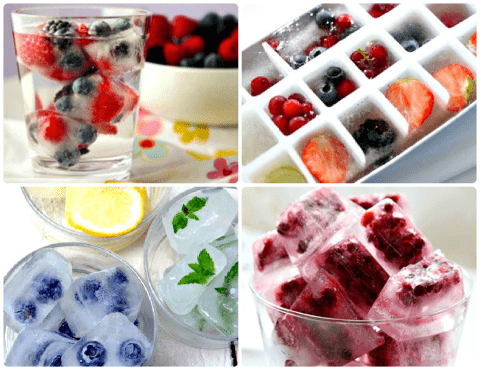 Just drop one of these ice cubes infused with fruits, veggies, and herbs into a tall glass of water, and watch the heat melt away. 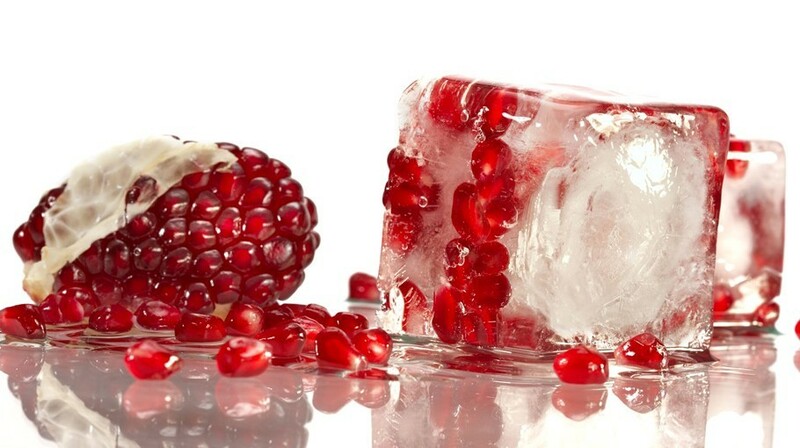 These ice cubes also help you detoxify, while increasing the pH level of your water. 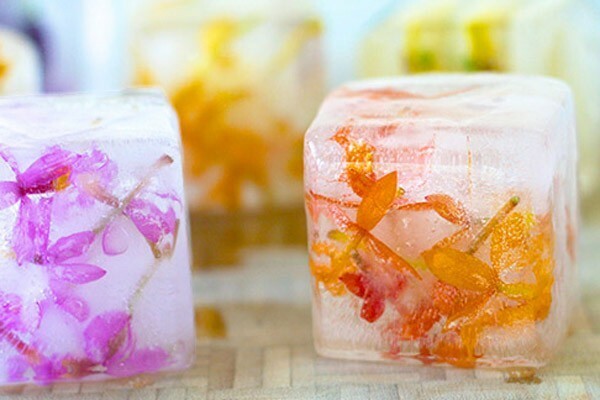 To suspend flowers in the cubes, work in layers: Fill an ice tray (one that makes large cubes so the ice will last longer) a quarter of the way with filtered water, add flowers facing down, and freeze. Add more water to fill halfway and freeze. Fill to the top and freeze again. For ice that's especially clear, use distilled water that has been boiled and then cooled. This limits impurities and air bubbles, which make ice cloudy. Use only edible flowers (such as orchids, nasturtiums, pansies, and snapdragons) that have been grown to be eaten so as to ensure they haven't been treated with chemicals. Party punch calls for festive ice: giant frozen cubes capturing bright slices of fresh citrus. 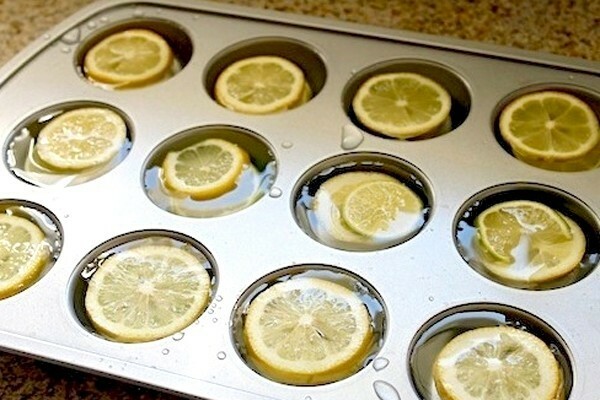 To make the ice, thinly slice lemons, limes, and oranges, and layer the slices in muffin cups. Fill each cup halfway with water or nonalcoholic punch, then freeze. 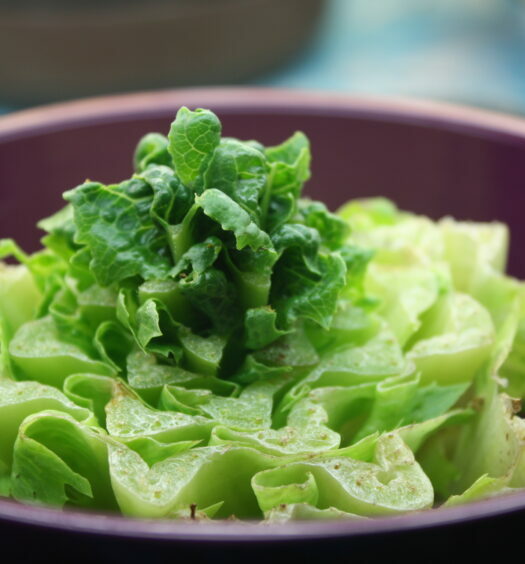 Puree celery and fennel, add a little bit of fresh lemon juice, then freeze. 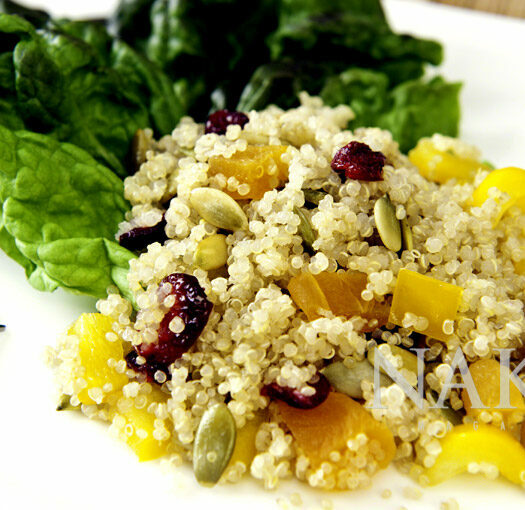 Don't throw away your greens! 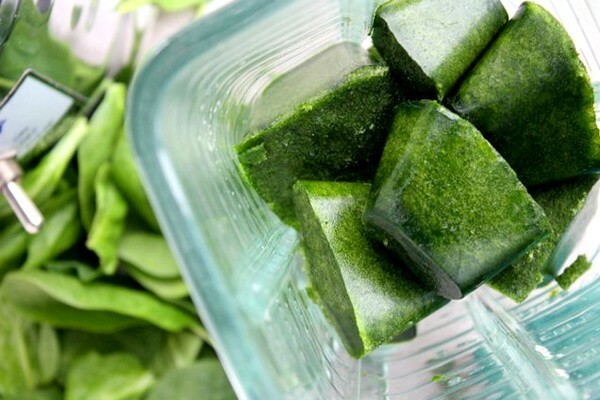 Blend them, pour them into ice cubes, and use them in your next smoothie. The first sip is just right, but by the time you get to the bottom of a long, cool glass of iced tea, you're drinking a watery shadow of your former beverage. If the ice is made from tea, it won't dilute your drink as it melts. 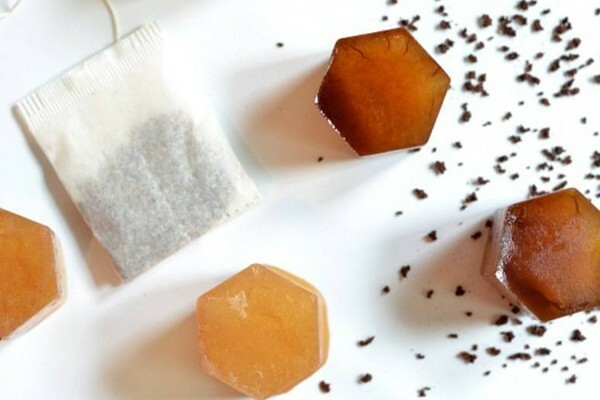 Freeze hot tea in an ice-cube tray, then use the cubes to cool your brew.